You might not be familiar with mahamri snacks but in Kenya or in East Africa, this is just an ordinary treat. Mahamri looks like a diminutive, bulging square or triangular dough which is fried until they attain the golden brown hue. In its native land, mahamri taste best when served with chai tea. Mahamri is a type of doughnut whose special ingredients include Coconut milk and cardamom. 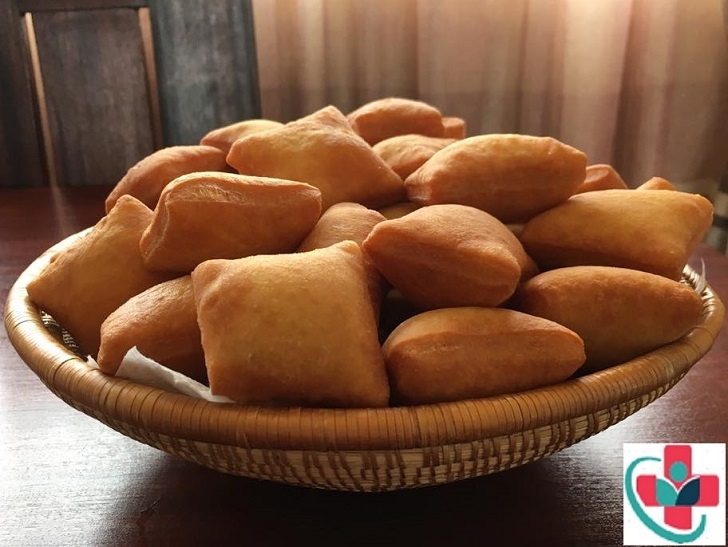 This authentic type of snack originated from the Swahili coastal regions of Kenya and Tanzania and is still very popular in both regions. Normally, it is accompanied by pigeon peas cooked in Coconut milk or a cup of typical. Due to its special exotic taste, Mahamri is considered as one of Kenyan's Delicacies. For the perfect special occasion or just for your family and friends, try this simple Recipe! Using a large spoon, mix the flour and yeast (or baking powder) into a big mixing bowl. The ratio of flour to the yeast should be 3 cups is to 1 tsp. This is enough to make at least 16 mahamri. Put a handful of sugar or in the amount you want your mahamri to be sweetened. Put a dash of ground cardamom, cinnamon, allspice or ginger (or a mixture of all of these spices). Pour in the coconut milk or cow milk (it can also be a mixture of both) and knead the dough with your both hands. Add milk from time to time until you achieved a soft, firm—but not sticky—dough. Continue to knead the dough for the next 15-20 minutes till you can feel that it has gone smooth and elastic. Put the dough into a ball form, and then lightly grease it and your mixing bowl. Put a clean towel over the bowl and put in a warm place. This will allow the dough to rise within three hours or at least until it doubles its size. Squeeze the dough down and start dividing it into four balls with equal size. Get your rolling pin and run it through, one ball at a time. Each formed disc should be at least 7 inches in diameter. Using a knife, carve the disk into four quarters. Place each triangle side by side on a floured surface. Again, place a clean towel over the pieces of dough and let it rise for the second time which can take from 15 minutes to 1 whole hour. After the allotted time, heat your pan or wok into a 350⁰F heat and pour in about 2-3 inches deep of canola (or vegetable oil) for deep frying. Fry at least 4 mahamris at a time and with the use of a suitable spoon; gently cast the oil over them from time to time. Using the tongs, turn over the dough pieces by the time they begin to puff. Ensure to cook the mahamris in all sides to attain that golden brown coloring evenly. Place the already cooked mahamris on paper towels for the towels to absorb the extra oil. Allow the mahamris to cool down a bit and serve with chai tea. Set aside the remaining mahamris in a sealed bag. If you do not like using coconut milk for whatever the reason might be, normal milk may be used. The taste will be slightly different but they are as equal as delicious!